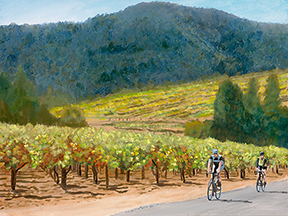 For over twenty-five years I have lived in the middle of the Sonoma county’s wine country. My "neighborhood " consists of beautiful landscapes that change through our glorious seasons. 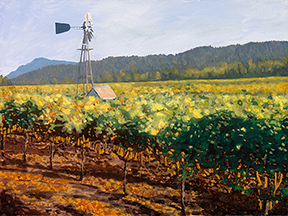 I love to capture these vineyards on canvas and share the best seasons and times of day with my collectors. I work both on-site or "plein-aire", and from sketches and reference photos in my studio. 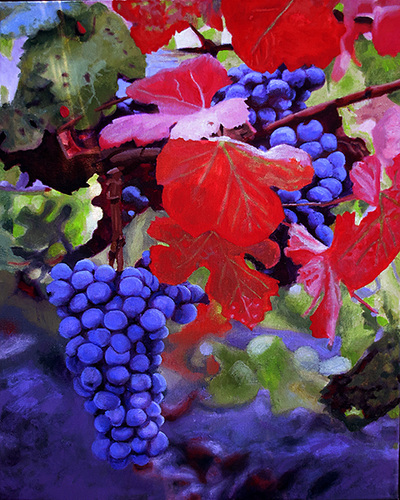 My oil paintings my process ranges from using thick impasto paint to a smoother surface with detailed observations.